Another guest for everyone at the Unsanity today! Please give a warm welcome to Mary, who gets very real about PostPartum Depression after having a child. Thanks so much for opening up and giving our readers some insight as to what it looks like. I’ve suffered depression my entire life. As a bi-polar patient, I was at special risk for postpartum depression. When I was pregnant, doctors talked to me about weepiness and sadness after giving birth. But I never realized just what postpartum depression would cause me to think and feel. Early in my motherhood journey, I was surprised to learn what no one tells you about postpartum depression… that it rears its head in feelings of irritation, frustration, inadequacy, futility, and loneliness. I just assumed everything was instinctual – that you just magically know and understand your newborn as soon as they come out. Maybe I was naive. However,I never expected to feel completely overwhelmed, flustered, and frustrated. Who knew depression would increase those feelings exponentially? Depression maybe a mental condition, but it distresses the heart. It directly interfered with my ability to fall in love with my little boy. It took a while for me to truly feel that loving warmth. Don’t get me wrong, I cared for him. Logically, I loved him, but I didn’t feel the crazy, obsessive kind of love I feel now. If you’re struggling to dote and love your newborn, you may have post-partum depression. The cure? The more you hug and hold your baby, the closer you’ll feel…sooner. This is the hardest thing I’ve ever had to admit. It makes me cringe just knowing I had these kinds of thoughts. It’s surprising to learn other moms have this thought too. As a new mom, you can feel so inadequate. The first night I brought my son home from the hospital, I had this thought. He cried for three strait hours and when I couldn’t comfort him, I felt as if I’d made a huge mistake. Maybe, I’m not cut out for this. He deserved someone better. Someone who knew what she was doing. Having a child changes your life. A child ties you down. If you’re a new mom, you may even feel anxious about leaving the house with your baby. Routine can be helpful, but monotony can add to depression. Be aware of how much you shut yourself inside the house. Challenge yourself to get out of the house. The more cooped up you are at home, the more isolated you’ll feel. I share the things that helped me while staying home in the post How To Stay Sane As A Stay At Home Mom. Postpartum depression includes anxiety. Who knew? Well, technically it’s postpartum anxiety but doctors don’t really discuss it and most moms I know, experienced it alongside depression. Anxiety often includes unrealistic fears. One mom I know said she was terrified to be left alone with her baby – like her baby was safe with anyone except her. There is a “what if something happens I can’t handle” sort of sensation. But here is the real shocker: irritability, anger, frustration are components of anxiety and depression. I couldn’t believe I had feelings of anger when my baby cried. I was short with my husband and my other child. Furthermore, I snapped at friends and made snarky comments over the stupidest things. I was irritated all the time and it actually took me losing a friend to grasp how badly out of control I was. 💕💕💕💕 much MUCH love friend. Thank you for lifting me up when I need it most even with something simple like this. 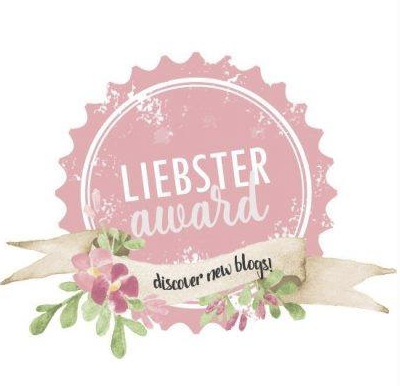 I just wanted to let you know that I nominated you for the Mystery Blogger Award! You inspire me daily. Thank you for bringing so much awareness to mental health. Have a great week! !